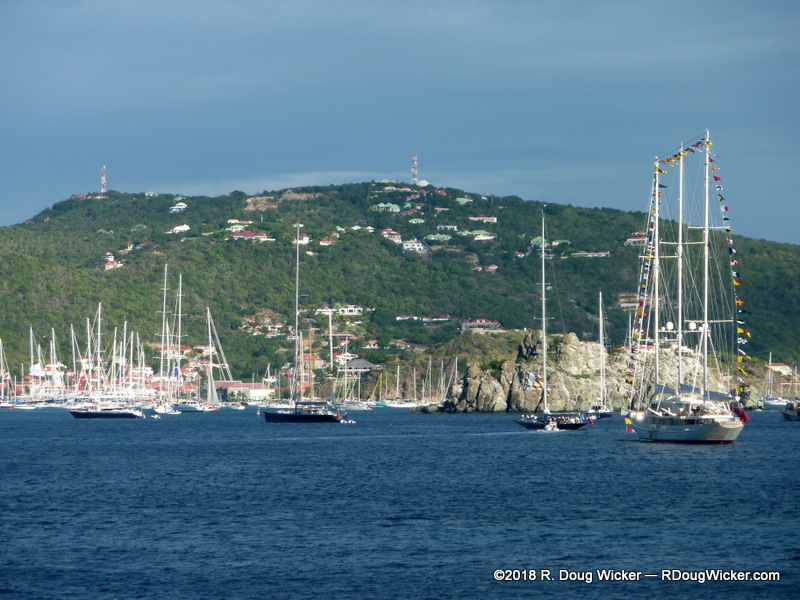 That’s a lot of yachts out on the water above. 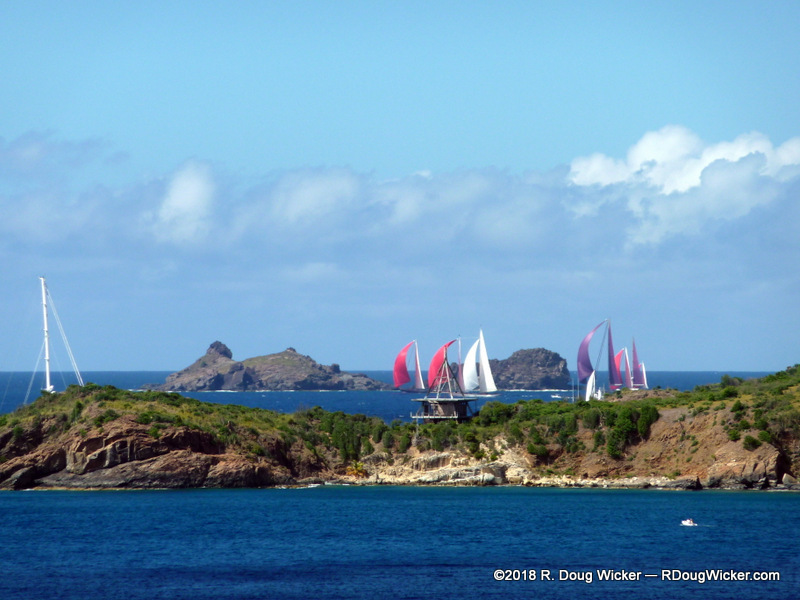 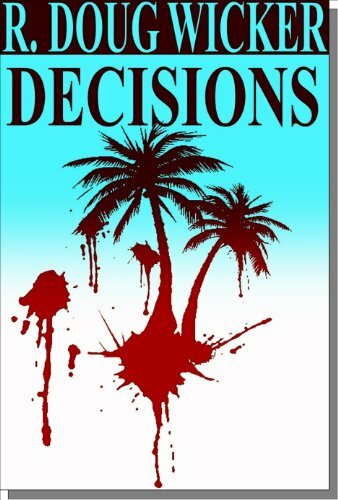 Last week I brought to you images of our visit to Gustavia, St Barthélemy, or simply St. Barts/St. 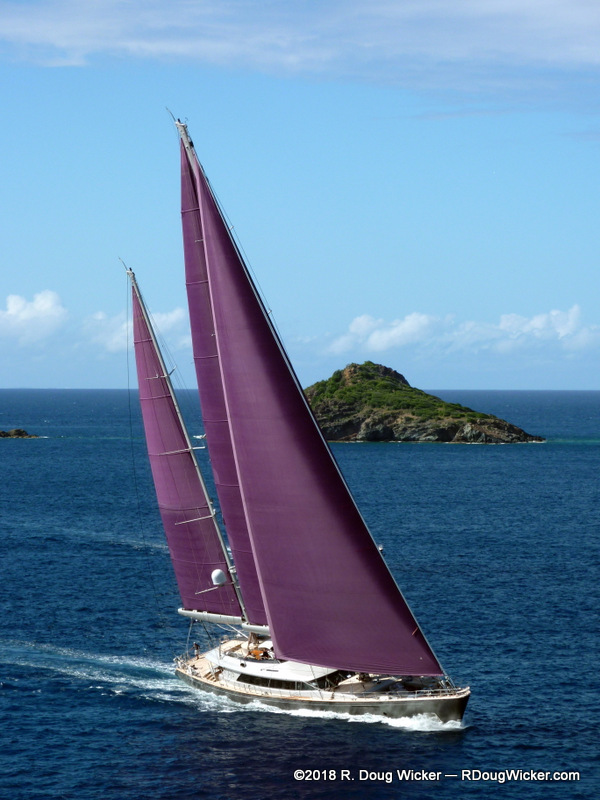 Barths. 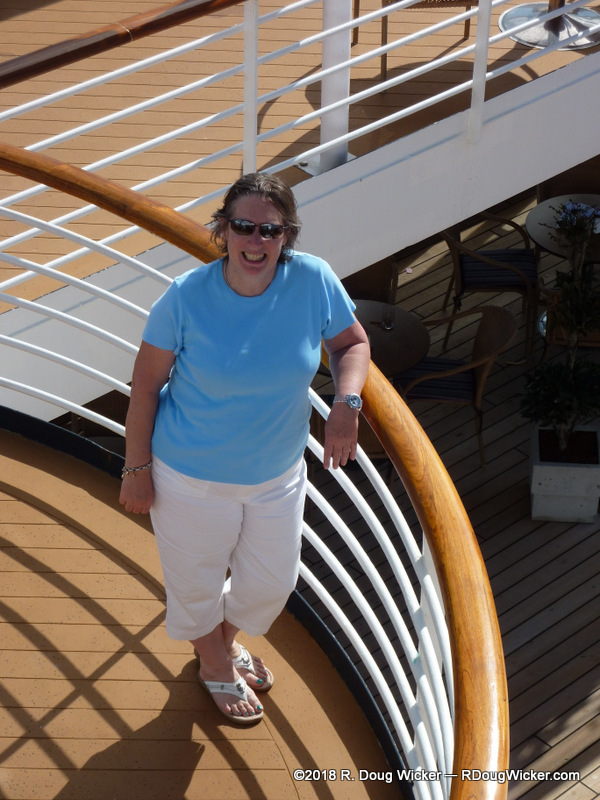 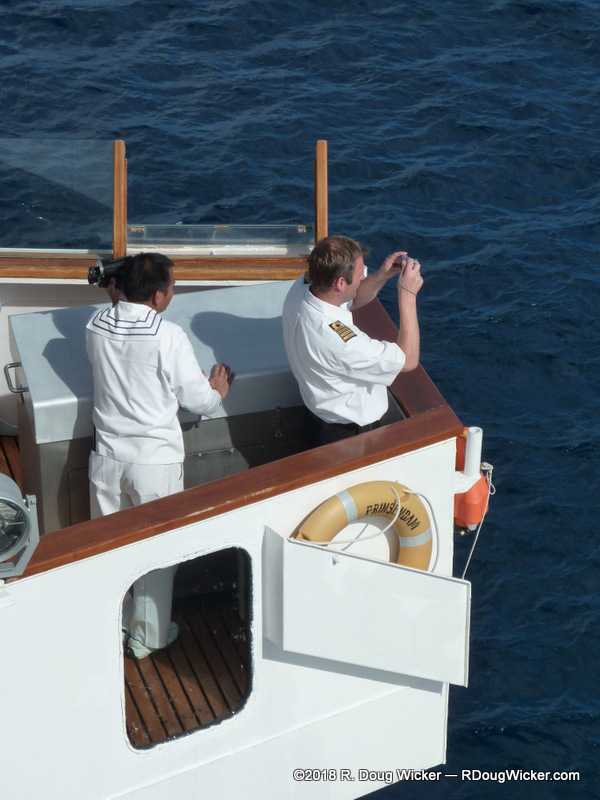 But to our pleasant surprise MS Prinsendam made port on a very special occasion. 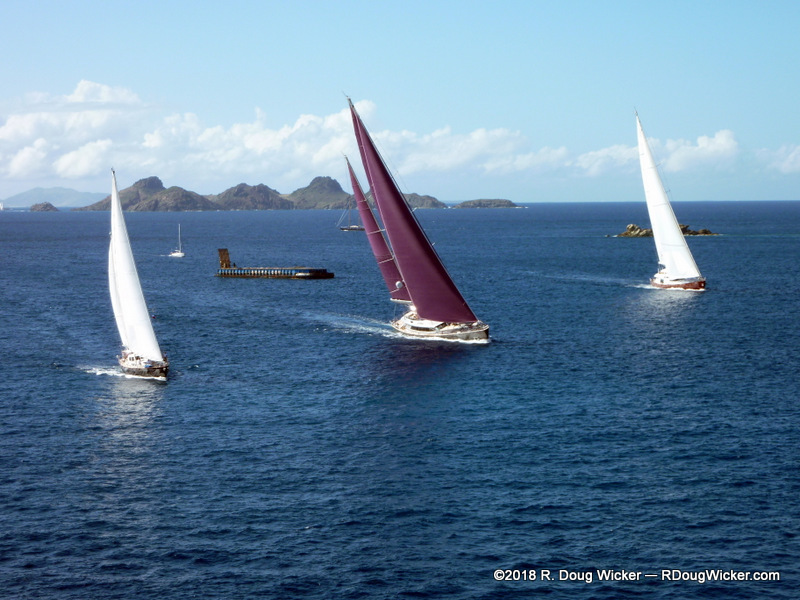 Every March in St. Barts is the famous Bucket Regatta Yacht Race, and we just happened to hit this charming French island during that year’s event. 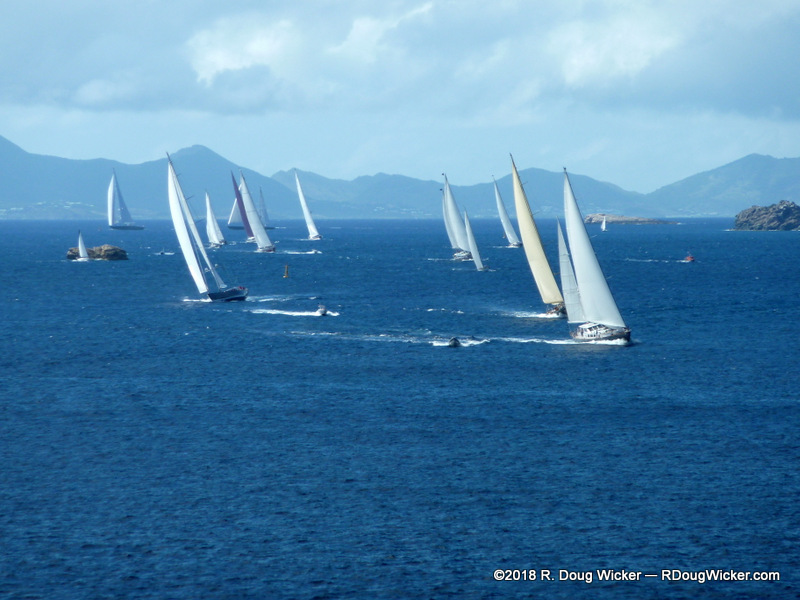 There must have been close to a billion dollars racing around the island that beautiful late March day, and we had ringside accommodations on the decks of the MS Prinsendam to soak it all in. 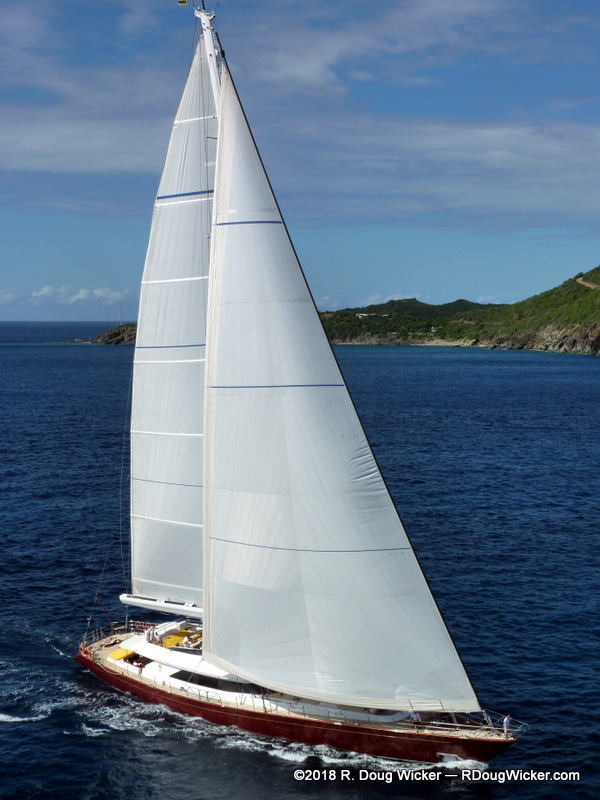 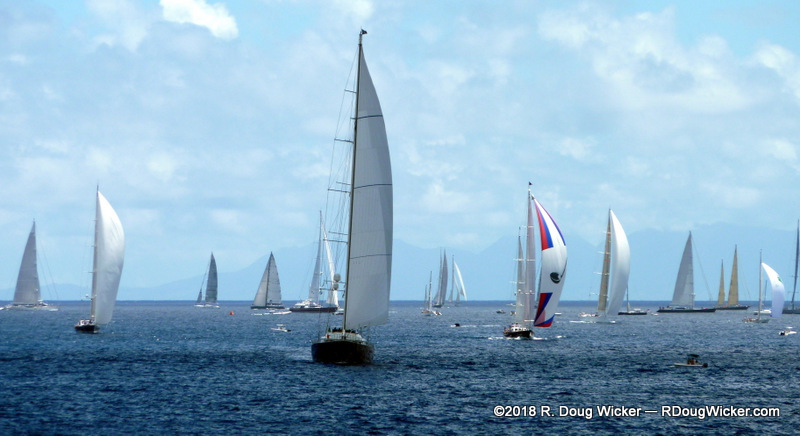 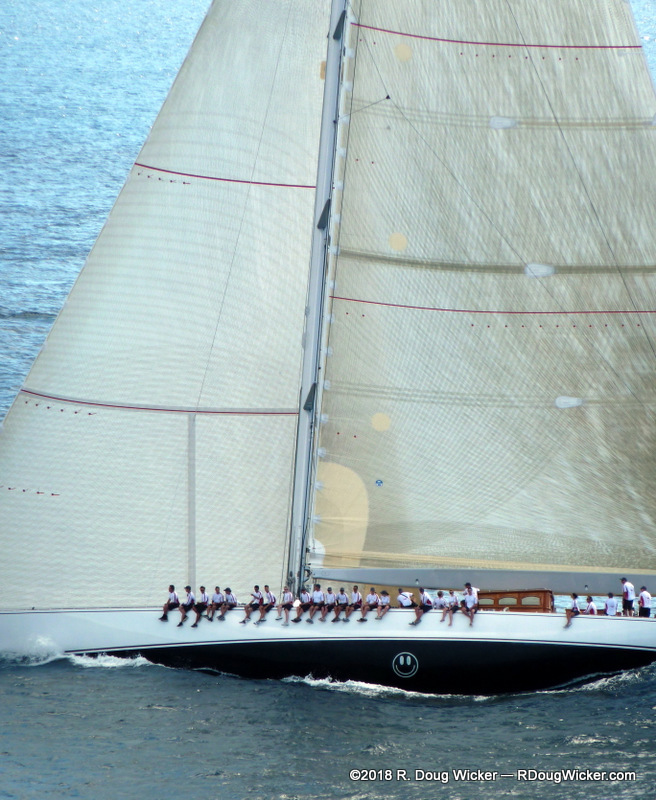 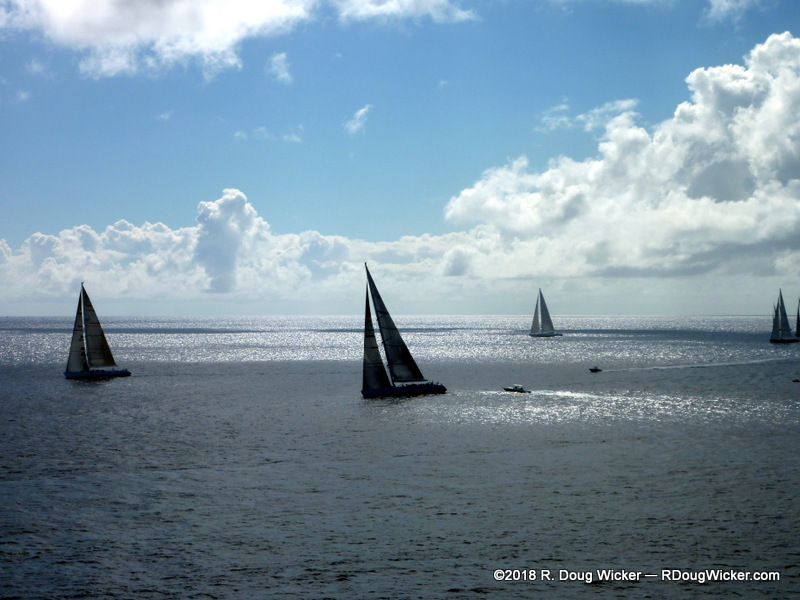 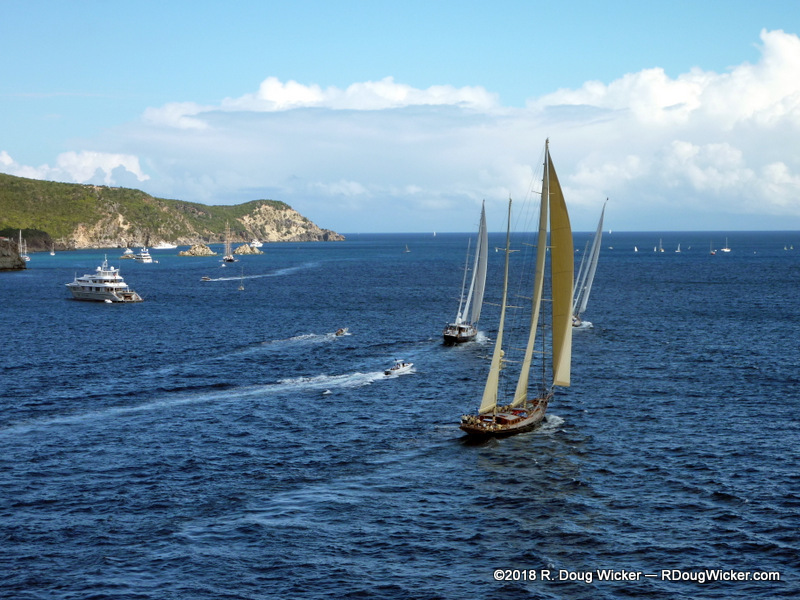 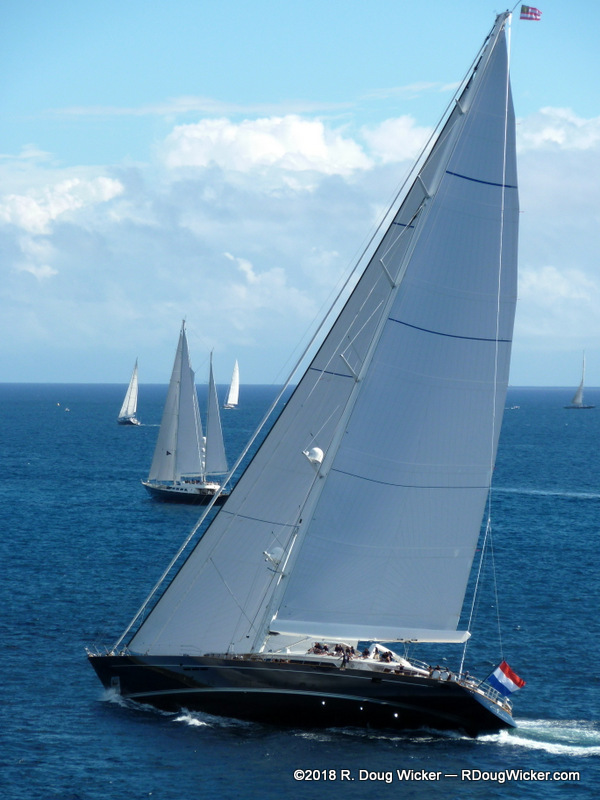 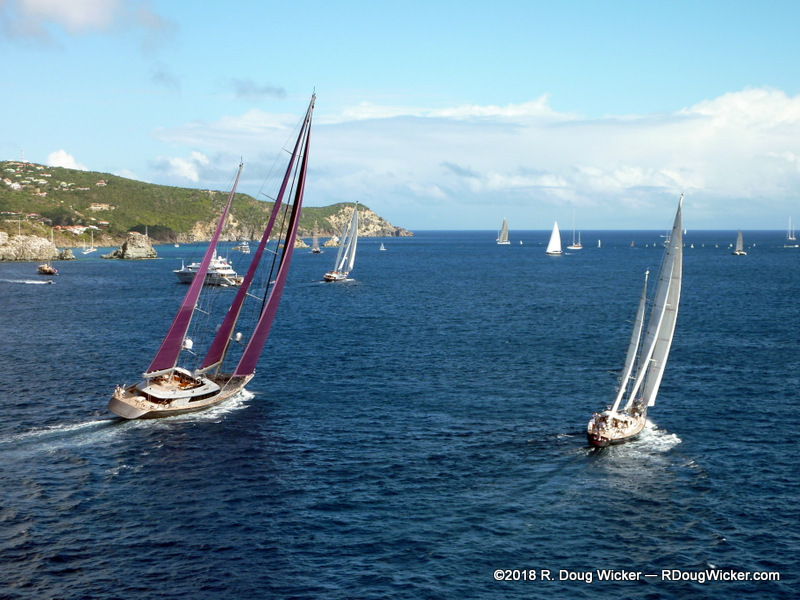 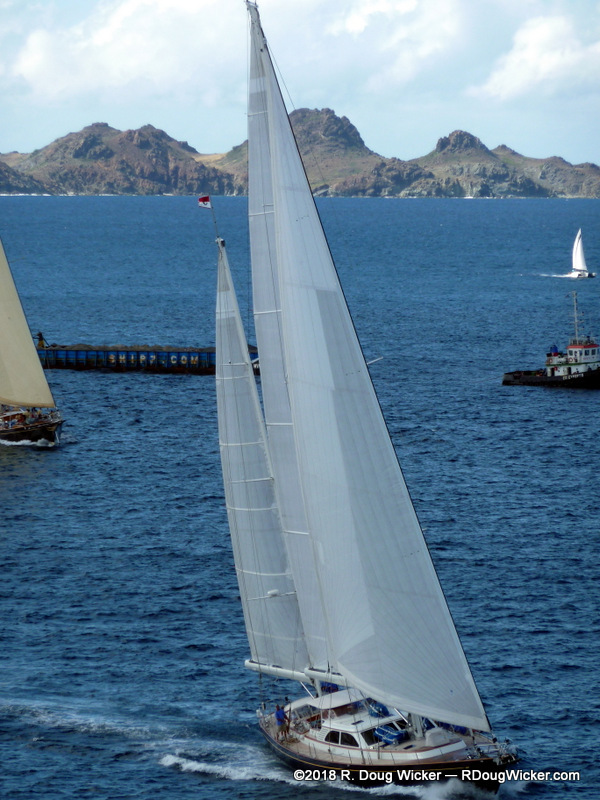 Now that we have the commercial break out of the way, let us return to St. Barts and the Bucket Regatta. 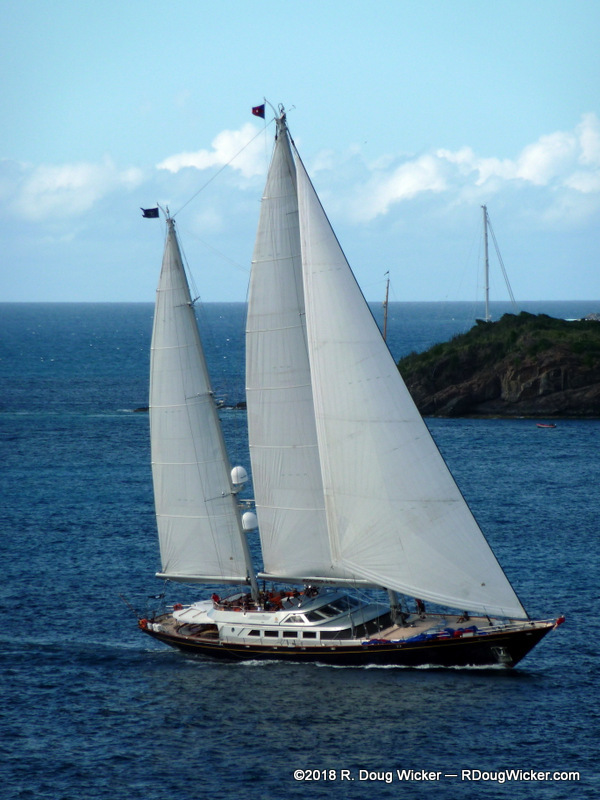 Not all the yachts here are modern, sleek, and under sail. 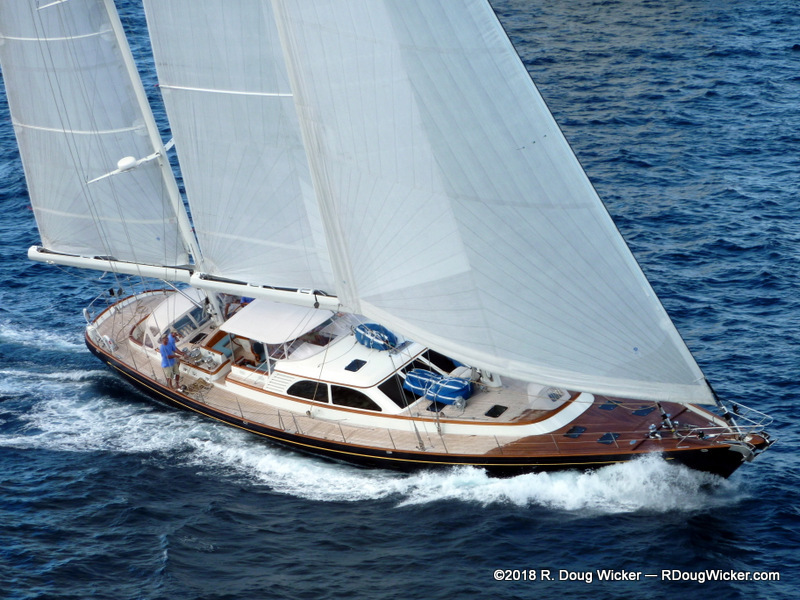 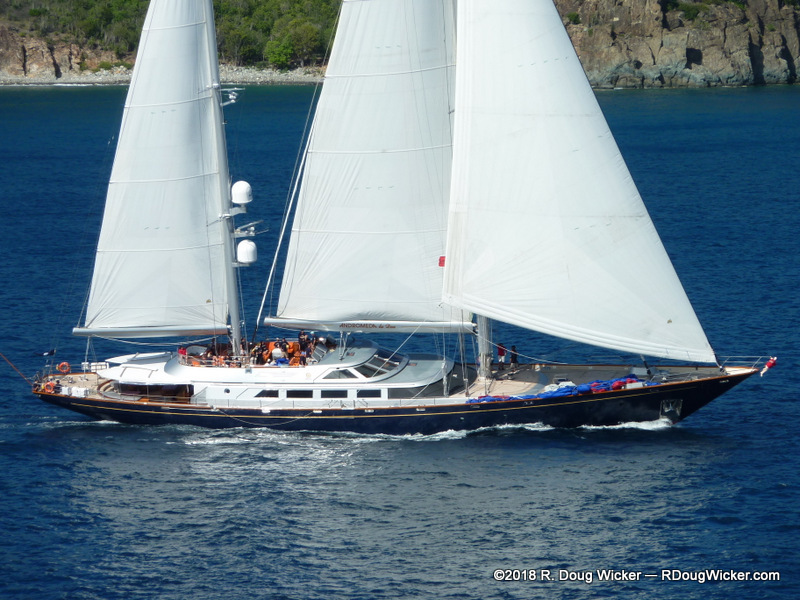 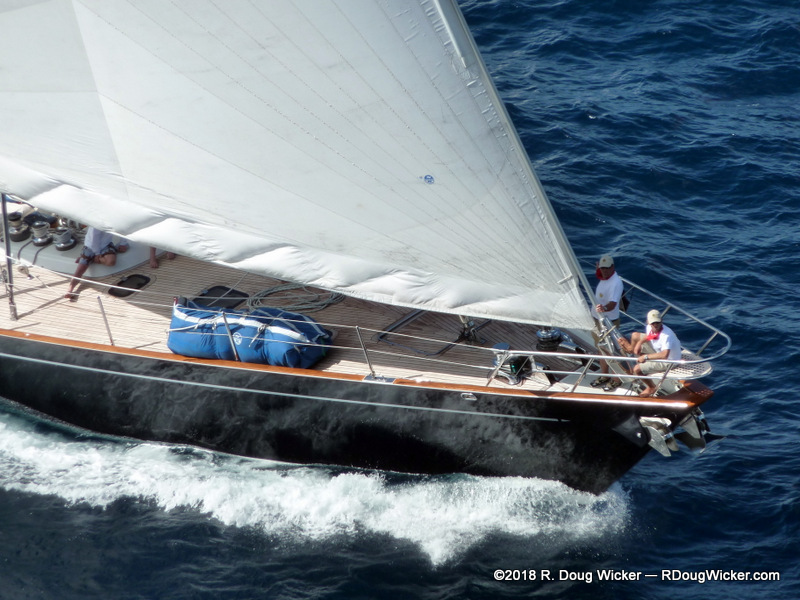 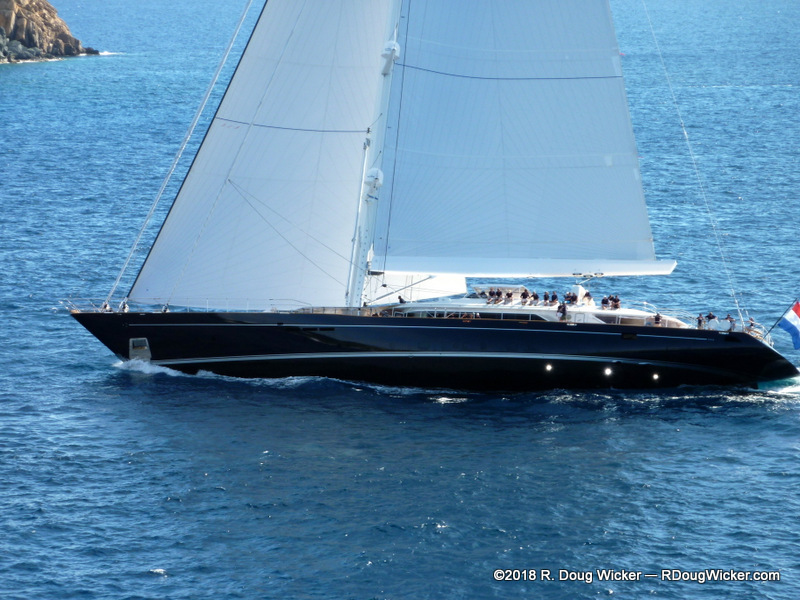 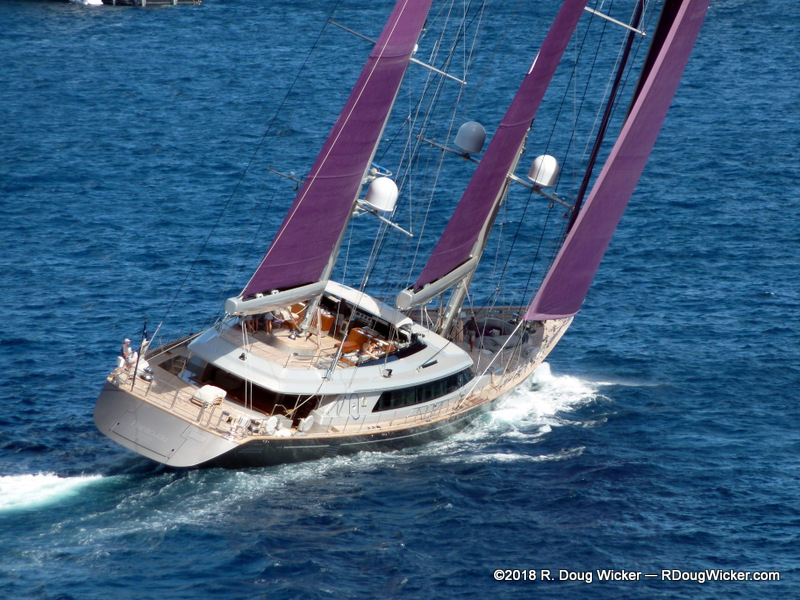 Below is the charter yacht Steel. 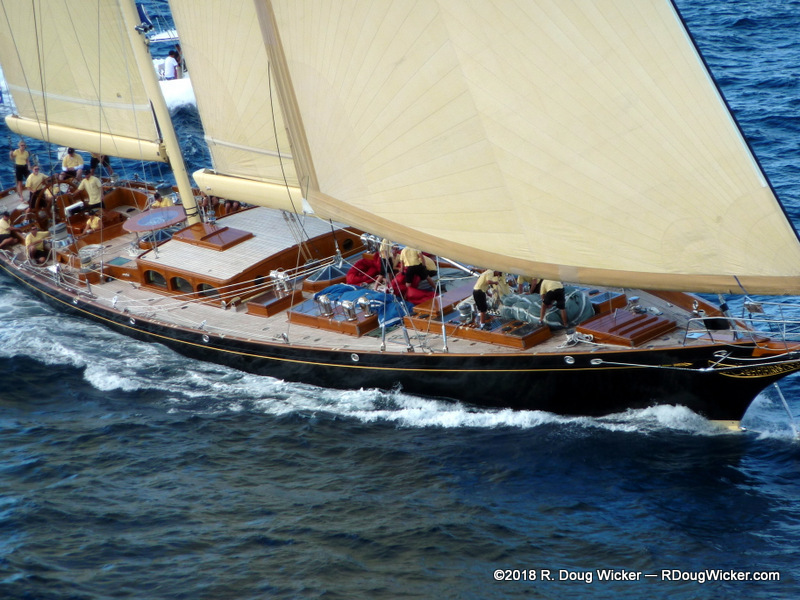 Don’t let the retro look fool you, though. 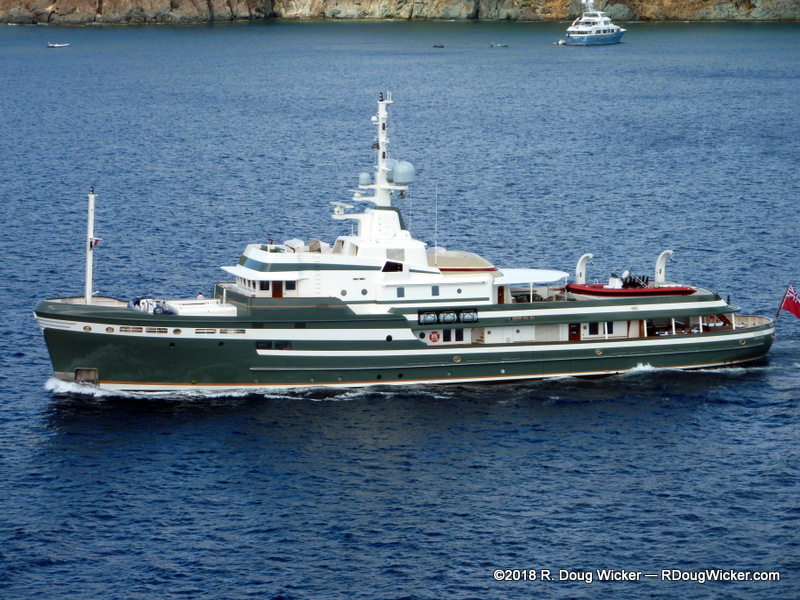 This beauty was built in 2009.